(Food Safety News) – The new U.S.-Mexico-Canada-Agreement, USMCA contains food safety provisions not unlike the North American Free Trade Agreement it seeks to replace, but not the kind of changes some wanted. Fulfilling one of President Donald J. Trump’s campaign promises, news that trade ministers from the U.S., Mexico and Canada had reached an agreement Monday pushed the Dow Jones Industrials up another 200 points in record high territory. The deal seemed to cool concern about trade wars. The agreement first reached between the U.S. and Mexico, and now involving Canada, is not revolutionary when it comes to food safety. Two Canadian think tanks had proposed that the replacement for NAFTA (North American Free Trade Agreement) include at least a bilateral food protection system for the U.S. and Canada. Earlier in the process, the Canadian Agri-Food Policy Institute (CAPI) and the Canada Institute of the Wilson Center teamed up to promote “new thinking” about safety to encourage debate within the NAFTA renegotiation talks. The two think tanks produced an eight-page discussion paper, “Risk and Reward: Food Safety and NAFTA 2.0,” written by Rory McAlpine and Mike Robach, suggesting Canada and the U.S. establish a joint risk assessment organization for food safety. McAlpine, senior vice president for government relations at Toronto-based Maple Leaf Foods Inc. and Robach, who retired in August from his job as vice president for corporate food safety and regulatory affairs for the Minneapolis-based Cargill Inc., called for the food safety reforms. Maple Leaf and Cargill are multi-national corporations that are active on both sides of the U.S.-Canadian border. 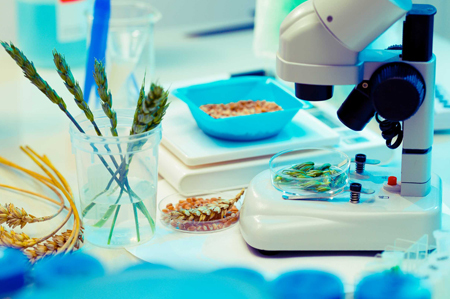 McAlpine and Robach are considered to be leaders in the broader food safety community. “North Americans share a highly integrated food supply, one that is perhaps the safest in the world,” their paper said. The two nations have “robust systems” for standards, inspections, and business practices that are highly uniform and well grounded in science, it said. They advocated for joint action by the U.S. and Canada for food safety. “The need to act jointly is heightened by the ‘One Health’ paradigm, which recognizes that the health of people is increasingly connected to the health of animals and the environment,” the paper continued. They sought a joint food safety risk assessment organization in any NAFTA 2.0, but that’s not part of USMCA. Scientific and technical food safety disputes among the parties will be handled by expert panels whose work will be subject to legal review for accuracy, clarity, and consistency, according to the USMCA provisions. Panels will rely on relevant international standards. The trilateral trade agreement is “timely and beneficial” for soybean growers, American Soybean Association (ASA) President John Heisdorffer said. U.S. soybean exports to Canada and Mexico reached almost $3 billion in 2017. The National Association of State Departments of Agriculture (NASDA) hailed the agreement, especially improvement in market access for U.S. dairy, wheat and wine.